Designed as a GT car, the Interceptor has a classic front-engine, rear-drive setup like a Jaguar E-type or a Sunbeam Tiger. But while the Jag had an inline 6 engine and the Sunbeam had a small V8, the Jensen packed a powerful 440cid Chrysler V8 under the hood! It was rated at 305 HP or 330 HP, depending on whether it had the 4-barrel or 6-barrel carburetor. 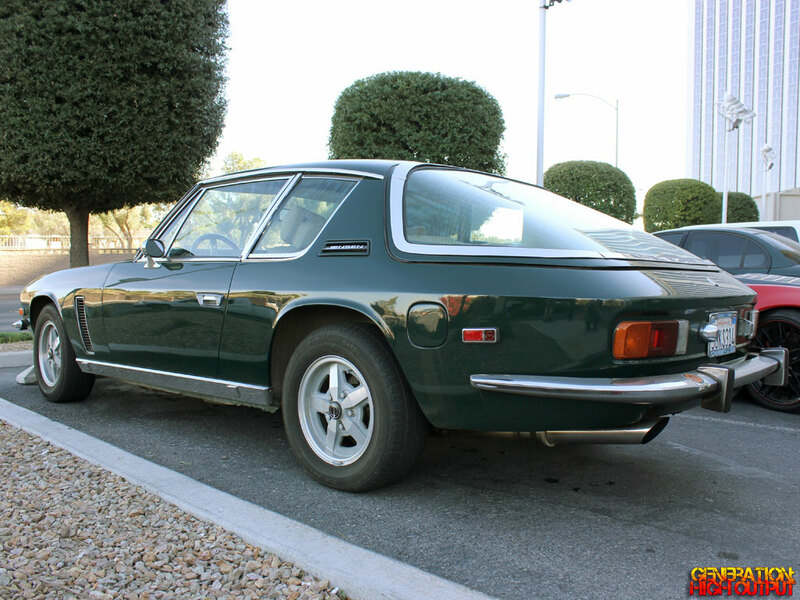 This particular car looked very handsome with its dark green paint, a color that has always looked great on British cars. It looked to be in great condition for its age, with sparkling chrome and good tires. The car’s license plate frame said Cardiff-by-the-Sea, which is a neighborhood in Encinitas, CA that is famous for having British street names. Clearly, someone either misses England or is obsessed with British culture! 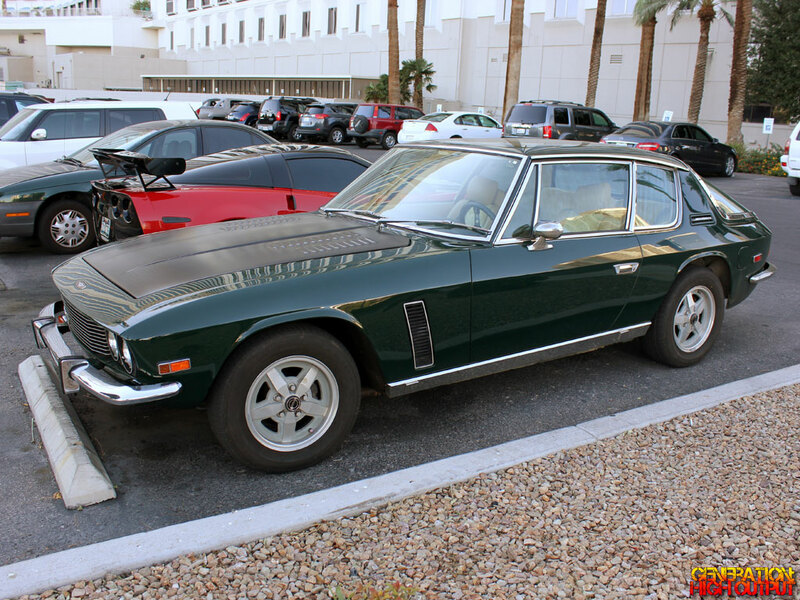 Whatever the case, I felt this Interceptor was a pretty cool car that was worth mentioning. What do you think of it? 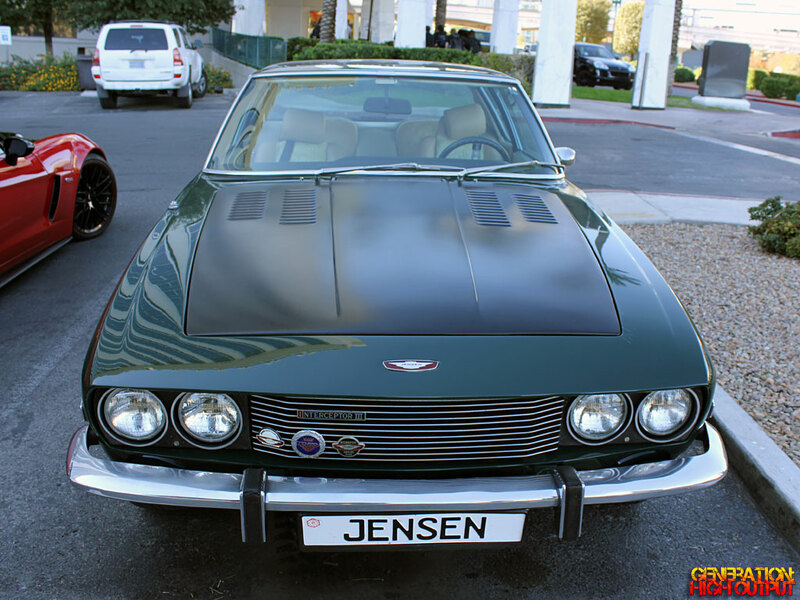 This entry was posted in SEMA and tagged 1970's, british, Hatchback, import, Interceptor, Jensen, rare, SEMA 2013, sports car by Trevor Freeman. Bookmark the permalink.